The Young Women’s Christian Association (YWCA) was established in 1855, when the movement formed on prayer and service united together and adopted the Blue Triangle as its symbol. The Blue Triangle signifies the unity and completeness of body, mind and spirit. The World YWCA was founded in 1894 by four countries: Great Britain, Norway, Sweden, and the United States. YWCA work had first begun in Britain when Christian women responded to the housing, recreation, and spiritual needs of young girls who had migrated to the cities during the Industrial Revolution. Today, it is an international movement that unites 25 million women from over 100 countries upholding a vision of a fully inclusive world where justice, peace, health, human dignity, freedom and care for the environment are achieved through women’s leadership. 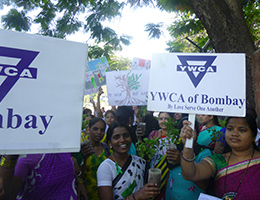 The Young Women’s Christian Association In India, the history of YWCA dates back to 1875 when the first local association was established in Mumbai. This was followed by the YWCA of India in the year 1896. It is one of the oldest non-profit community service organizations for women in India, which is based on the Biblical Principle “Love thy Neighbor as thyself”. Its primary function is to organize, develop and unite the local YWCAs in India. It seeks to bring justice for women whether at home or at the workplace with special emphasis on the girl child. It aims to build self esteem through its various programmes of literacy, self employment through training programmes, and balwadis for the underprivileged and marginalized girls of the community. Today, there are 82 local associations working for the upliftment of women. The YWCA of Bombay is registered under the Societies Registration Act, 1860 under No. 44 dated 06-08-1952 and of the Bombay Public Trust Act, 1950 under No. F/388 (Bom.) dated 13-07-1953. The YWCA provides housing for young women who migrate to cities. 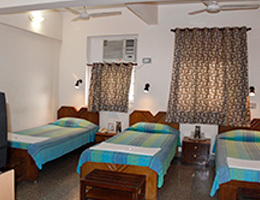 The YWCA International Centre, a medium sized guest house is situated in Mumbai. Engaged in community programmes across Mumbai like WDU, Asha Kiran etc. 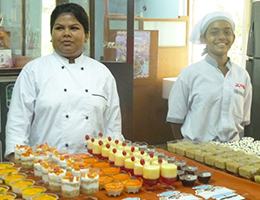 YWCA is conducting a Bakery exhibition at the YWCA Byculla.